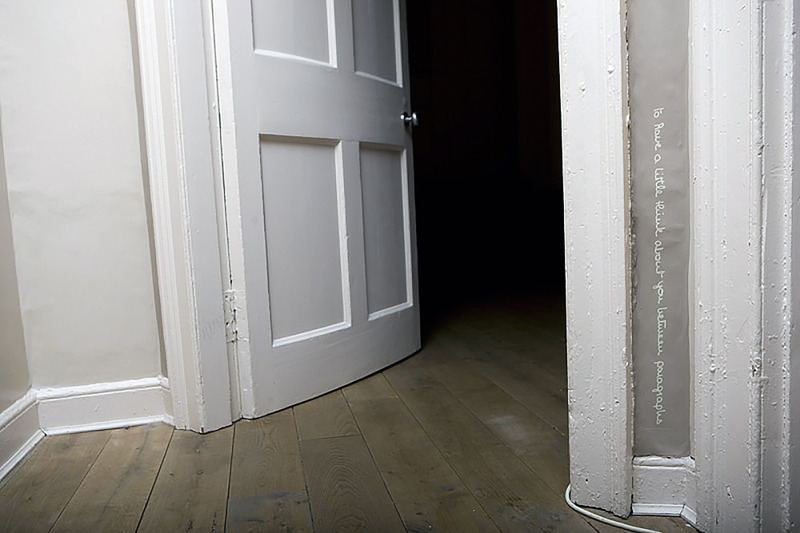 Text-based installation in an uninhabited domestic flat. 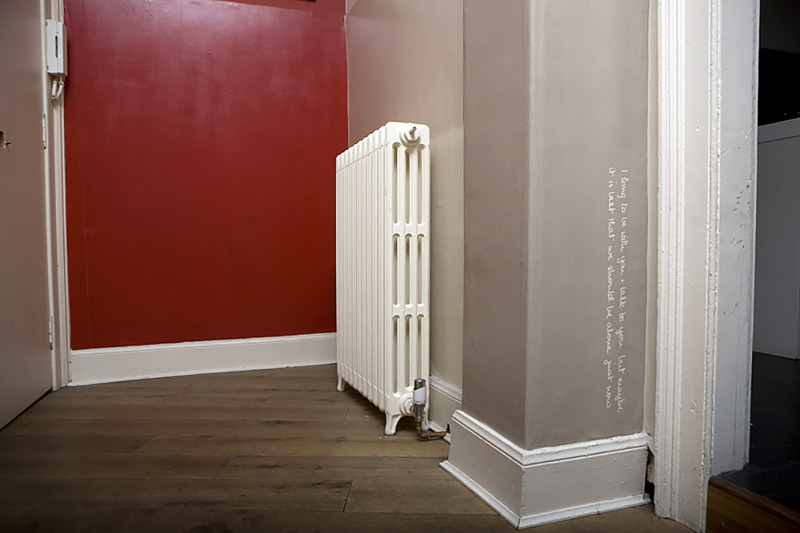 Part of a group exhibition. 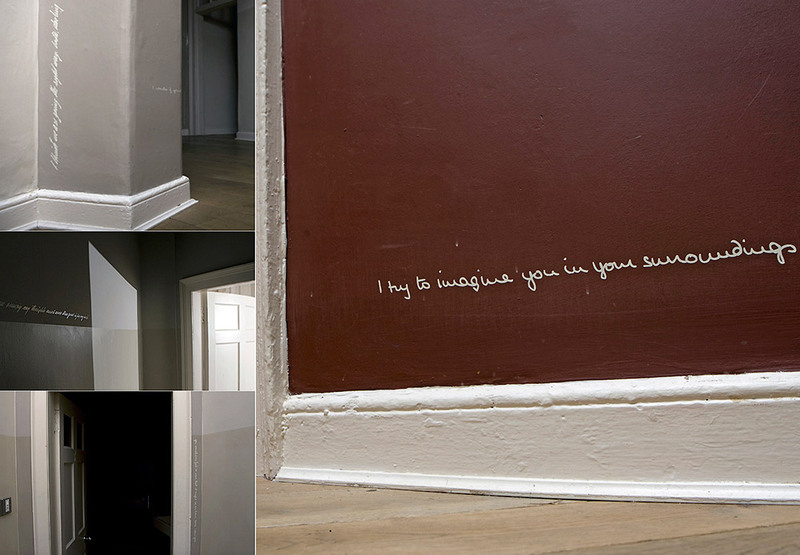 Selected intimate phrases from found love letters sent between a young couple who were separated for a year in 1959 were put onto the walls of an vacant domestic flat. The chosen text from the exchanges was specifically about the ache of missing and imagining being together and use the couples’ original hand writing from the letters.